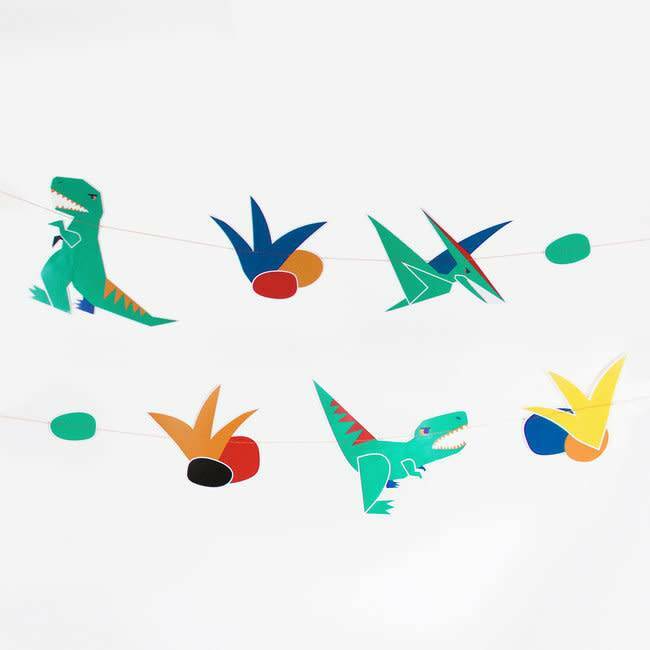 Choose this superb dinosaur paper garland! Ideal for a dinosaur or cute animals-themed birthday party, it it will be a sensation! Also perfect for a multicolor-themed party or a summertime party!